The future development of the Metro tram system is organised differently from the Snow Hill to Grand Central one which opened on 30 May 2016. Further extensions to the existing network will be of great benefit to West Midlands folk and visitors and should encourage new business investment in the region. The original route of Birmingham Snow Hill to Wolverhampton St Georges opened in 1999 was augmented by the opening of the extension to Birmingham New Street Station/Grand Central on 30 May 2016 (with an interim opening to Bull street on 6 December 2015). Unforeseen technical difficulties with the central Birmingham infrastructure, amongst other problems, meant that this extension was delayed considerably from the estimates available in 2010. 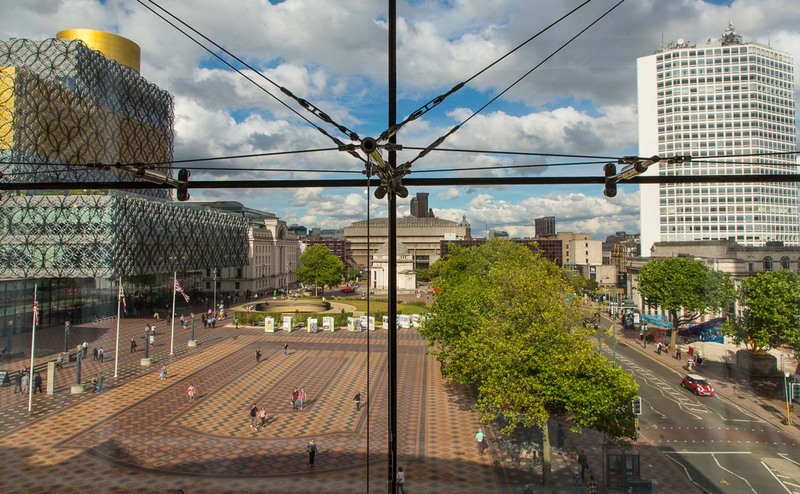 The metro extension is a great success amongst the city residents and visitors, fulfilling the wishes of people from Wolverhampton and the Black Country towns to visit with ease the nationally famous attractions of central Birmingham such as Grand Central and Bullring. The Metro is a very important part of the transportation infrastructure for Birmingham in the future. Many major European cities have invested in this normally traffic-free and rapid means of travel. It’s a must have for a modern city. Birmingham has some catching up to do, but a revamped approach to construction organisation promises a successful future. 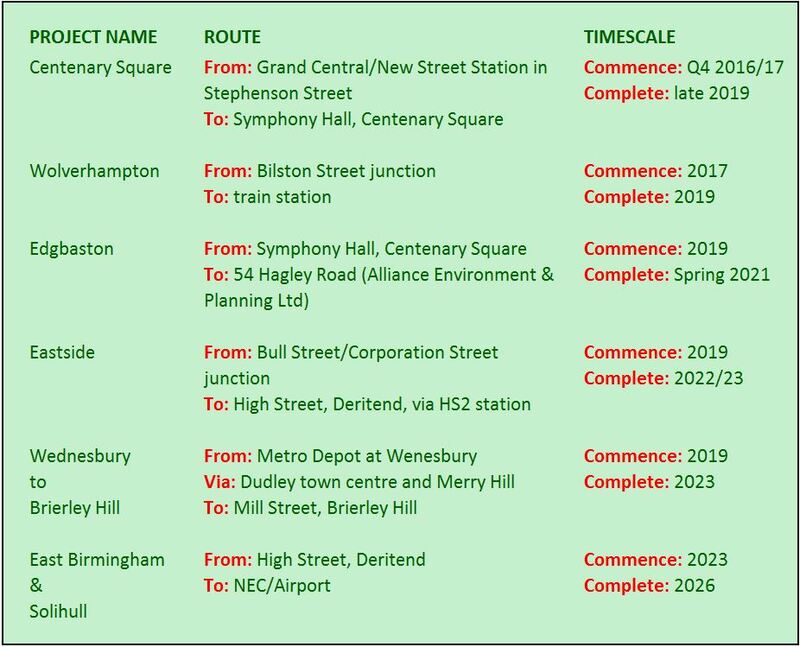 The extensions currently planned are as below. 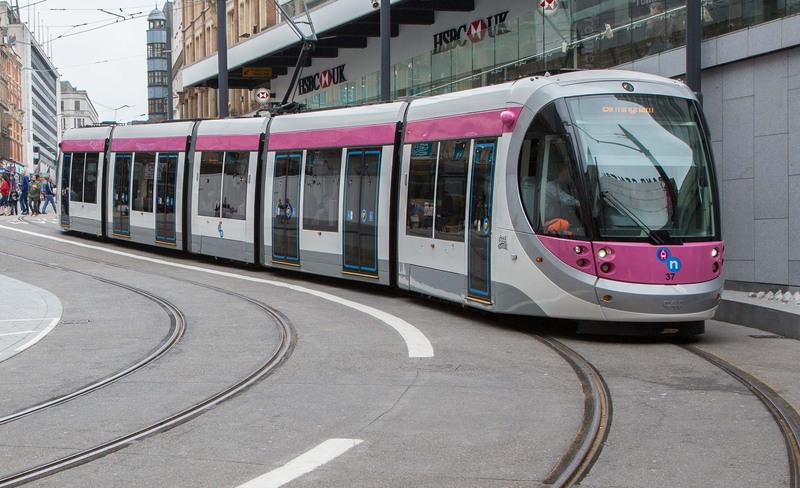 The information was obtained from the Midland Metro Alliance website. IMPORTANT NOTE: Owing to the nature of construction, the dates are approximate only and may be subject to change. The Commence date is the start of construction but the design will have been carried well in advance of this. The Complete date is when the service is planned to start conveying passengers. Click here to see a map of the routes (as published by the Metro Alliance on their website}. The people behind the latest extensions to the route have used the experiences gained from the extension from Snow Hill to Grand Central/New Street Station, but also from around the world, in order to create a new way of structuring the construction projects. 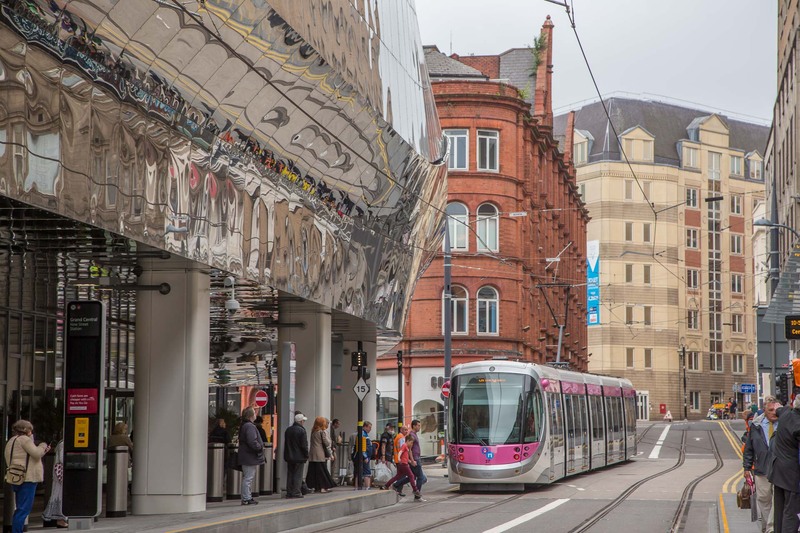 The Midland Metro Alliance is a team of planning, design and construction specialists responsible for building a number of new tram extensions over the coming decade on behalf of the West Midlands Combined Authority. These exciting extensions will help deliver a lasting legacy, aiding social and economic regeneration across the region. 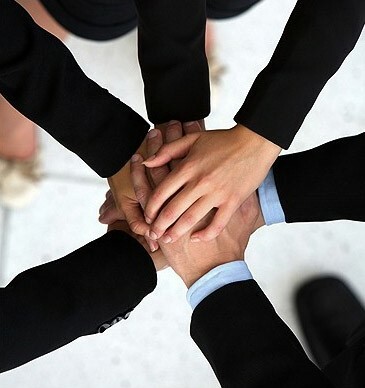 The new approach to working ensures shared design, risk, reward that involves all parties right from the beginning. There will be no major recruitment of contractors on a stage by stage basis as under the previous project structure. Recently, I visited the offices of the multi-company team working in Number 1 Victoria Square. Currently the office is somewhat crowded accommodating all the cooperating individuals from the various companies, but shortly they will move to more spacious accommodation. The atmosphere I would describe as energetically electric! A great sign for the success of the project. This is the one that will have a profound effect on office workers and visitors to the attractions surrounding the Centenary Square stop, (and that could be a lifestyle changer for me as I live a stones throw from the square). The extended route is shown on the map below in yellow. Click on a marker to display a description of the point or click on the Arrow symbol below to display a key for the map – click again to remove the key. The start and end points are shown in the photos below. Click on an image for a larger view. Current terminus of the line, the extension will carry on turning right at the beige coloured building top right up Pinfold Street. Centenary Square viewed from Symphony Hall. The route will travel along Broad Street on the right towards you and the stop will be located bottom right. Its design is due to be completed soon with construction work following up to the second quarter of 2019. This will be followed by a period of testing and commissioning leading to an in-service start in late 2019. Where possible, this route will be free of gantries and overhead electric supply cables. Trams will carry batteries that get charged en route or at a specific spot, if necessary. This removes the aesthetic eyesore of power cables slung across and along a route of historical and visual importance, namely Victoria Square, the Council House/Central Library Complex and the glorious treasure of the Town Hall. All credit to the design team in anticipating and solving a possible problem before it arose. The first tram has been despatched to the manufacturers in Spain for battery fitting. Regular updates on progress and views of the construction will be published on this website. More details can be obtained from the Midland Metro Alliance website. 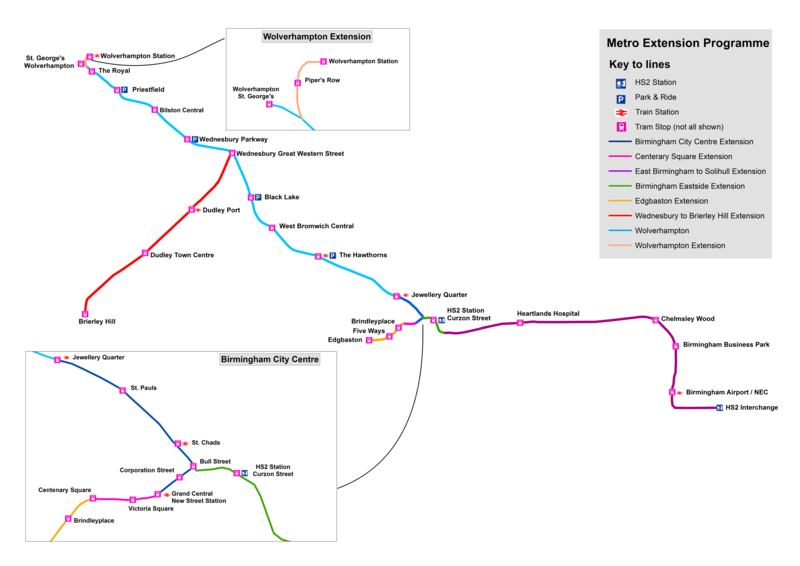 This entry was posted in Articles, Big City Plan, Birmingham - Connected City, Birmingham Buildings, Metro on February 11, 2017 by Geoff Caine. So, we’re still on schedule :>). Thanks for your comment Kenneth. The dates are those currently on the Metro Alliance’s website http://www.metroalliance.co.uk. A great deal of infrastructure work, much of it underground, is needed before anything recognisable as metro work can be started. It could be that this is the case, but I will try to find out if it is. Just like to say that work on the Centenary Square extension is already behind. I walk past every day and there is no activity along the proposed route which is a shame as it would help me get to Centenary Square from New Street. The expected start date of Q4 2016 doesn’t seem accurate and saying 2017 is pretty vague too. I would like to see more progress and faster.